Providing 34 new homes above a new maker-space, the materiality and detailing of this scheme draws on the local industrial heritage of the adjoining conservation area. Planted terraces, evoking the loading structures of the locale at the rear, will provide a lattice for climbing plants to increase biodiversity. The B1 maker-space at its base has been designed to position showroom / galleries to the corners and fabrication areas to the centre of the plan with the percentages of glazing and metal in-fills, loading bays and shutters directly referencing this. 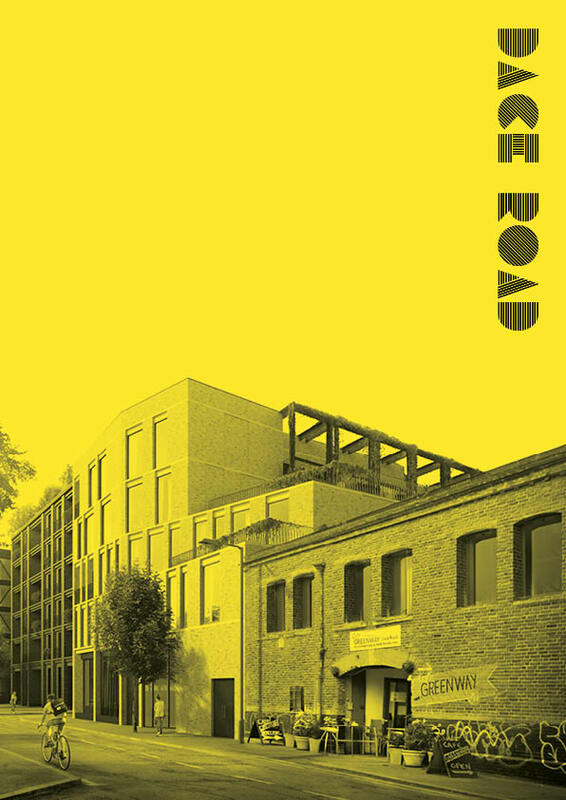 Responding to Hackney Wick’s blurred living / working patterns and definitions of public / private space, the yard, along with higher level gardens, are proposed as shared-spaces creating meeting points for communities to form.